Packed with chocolate, a hint of pumpkin flavor, and all the warm and cozy feelings that come with a fresh baked chocolate chip cookie. 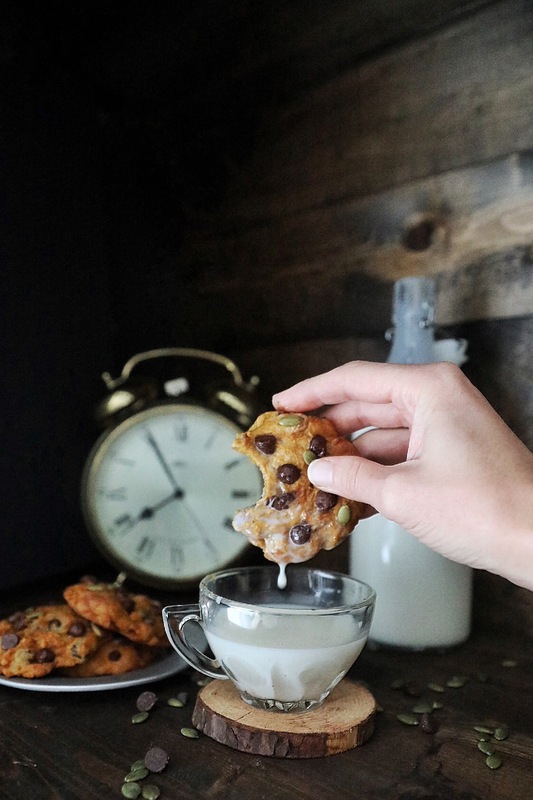 I have a chocolate chip cookie recipe I always use, and made them the other day. There was leftover dough in the fridge that I had yet to use and got the hairbrained idea to add pumpkin to the chilled dough. I wasn’t sure how it would turn out, so I only added a spoonful to a portion of the dough. When it came out of the oven I was blow away! What a happy accident! 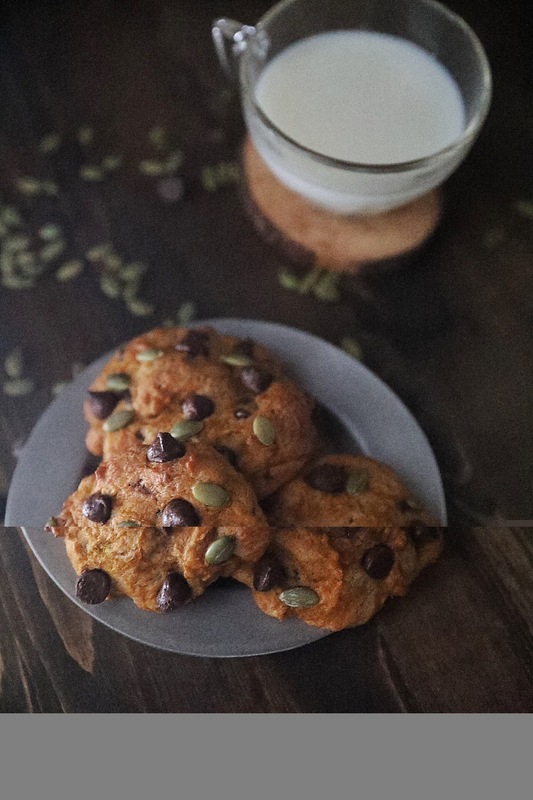 Don’t worry, I tested this recipe a few times, So to save you the agony of trial and error in finding the perfect pumpkin cookie, here’s the recipe! In a bowl combine the flour, salt, and baking soda. Set aside for a moment, and in your mixing bowl combine the butter, eggs and sugar. Mix until no butter lumps remain and slowly add the dry ingredients you had prepared in the first step. Once fully combined, add the chocolate chips to blend, and place the dough in the refrigerator to cool. I cooled mine overnight, but a few hours will be enough. Once chilled, remove from the refrigerator and add your pumpkin. Since the dough is chilled, you will want to use your hands or a stand mixer to combine. 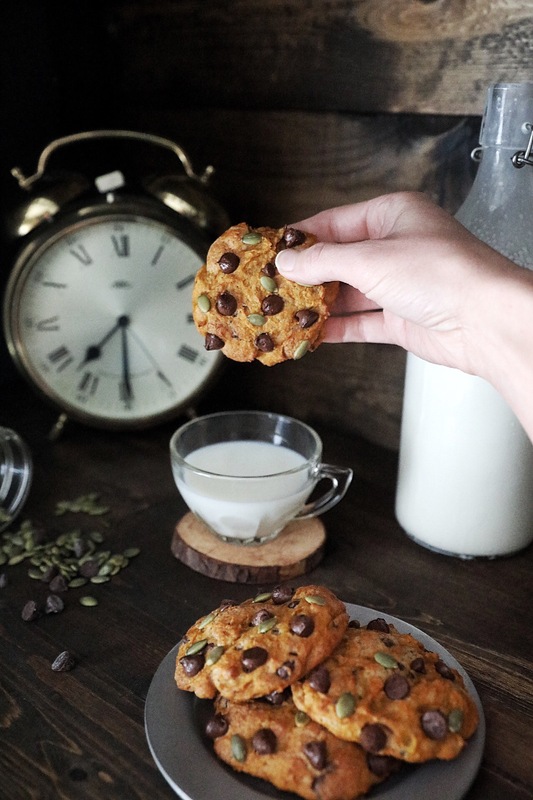 Don’t over work the dough, it is alright to see small chunks of cookie dough not combined with pumpkin. The dough will be a little more wet than you are used to, that is ok! When you place the dough on the baking sheet, press it out to the desired size and thickness, they won’t rise or grow much in size. Top with a few chocolate chips and pepitas for a little flare, if you’d like. 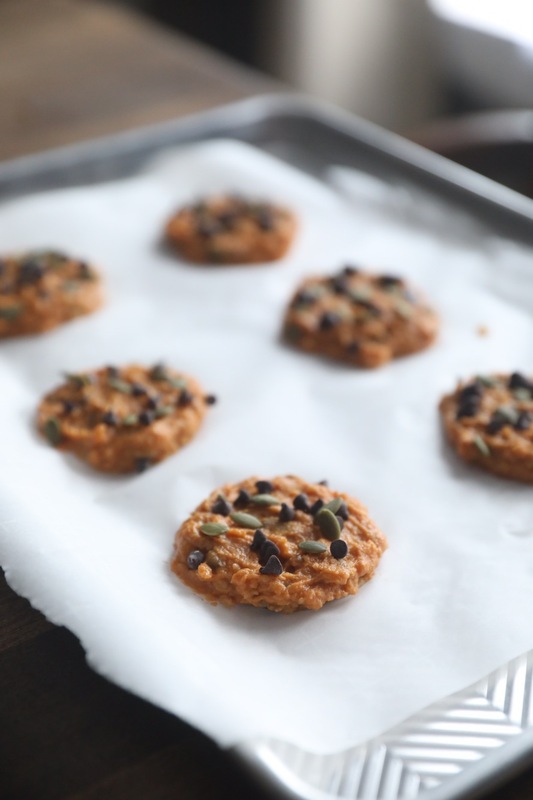 Heat your oven to 375 degrees and bake the cookies in your preheated oven for about 10-12 minutes. When you pull them out of the oven, let them rest for a few minutes to firm up before removing them from the pan.